Our family takes great pride in the comforting atmosphere and decor of our funeral homes. In these relaxed surroundings, you'll find caring and dedication from people who are here for you when you need us the most. Please visit the links above to view our chapels. 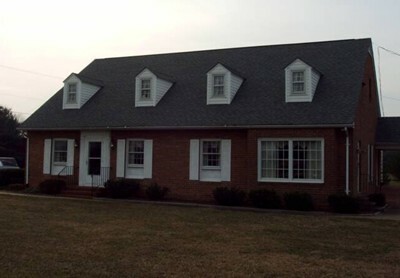 In February of 2007, our new cremation facility opened at our Marks Chapel location. The equipment installed is the most modern and technologically advanced available at this time. The Marks Chapel is located 3 miles east of Warsaw on state route 360. We were previously located in the heart of Warsaw as T. D. Marks Funeral Home, which opened for business in 1950. The Welch family acquired the business from the Marks family in 1991. Ground was broken for the new Marks Chapel in 2000 and officially changed locations in November of 2001. The change in location made our facility handicapped accessible and allowed for a safer entrance and exit when visiting the funeral home. The move further east also made us more centrally located in the Northern Neck. Used for smaller visitations or by request. Beautiful stained glass from the original T.D. Mark's Funeral Home. A private family room in order to provide families privacy in their time of need. Another view of the main chapel. The front of our main chapel. 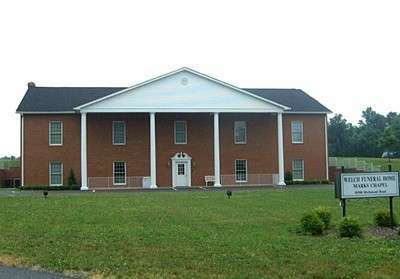 The original Chapel of the Welch Funeral Home was constructed in 1966, and increased in size in 1972. The Montross Chapel has served Westmoreland and Richmond County families ever since. It is also the home to Montross Monuments.